Supporters | Souris Railway Museum Inc. 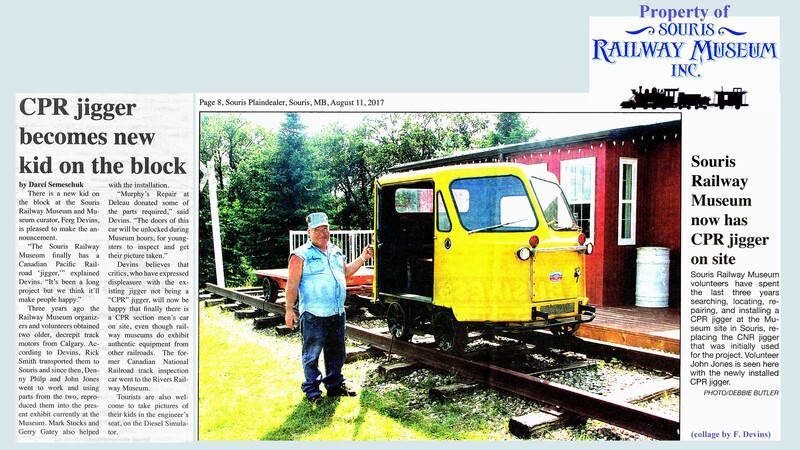 The Souris Railway Museum Appreciates all it’s supporters! If you would like to become involved there are several ways to help out. 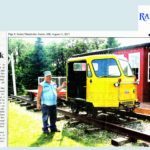 4, Volunteer Mark Cranwell, we also appreciate all of your time consuming efforts in working on this website, as well as operating our diesel locomotive Simulator….Thanks from Ferg Devins, Souris Railway Museum. 5. This museum would not be in existence today, if it were not for a lot of other volunteers helping us out….namely Keith & Ann Marley, Roy Stevenson, Betty Clevett, Betty Somersall, Elinor Birks-Davison, Keith Davison, Betty Devins, Bev & Clare Somersall, Janice Fraser, Orla Maitland, Mark Stocks, Dennis Philp, John Jones, Bob Balbar, Gerry Gatey, Brent Fallis, Sandra Williams, Lyle Powell, Gordon Powell, Ruth Martin, Ron Barclay, Danny Belbas, Irene Shmyr, Ken McBurney, Larry Neilson, Rick Janzen, Dwight Davis, David Frost, Gordon McIntosh, Archie Smith, Rae Haldane-Wilsone, Rick Smith, Al Polwarth, Lorraine Kurtenbach, Jason Philp, Doug Denning, Dean Fraser, Tim Janz, Bob Edgerton, Bill & Sheila Kirkup, Brian & Jodi Logan, Donna Devins & Doug Barrett, Bev Richards, Calihil Pabuyon, Gordon Thompson, Bill Rolston, Charlotte Parham, Bob Donogh, Don Main, Linda Perrin, Kris Doull, Jim Ludlam, Ditlief Eissner, Lloyd Barclay, Dexter Kowalchuk, Murray Cameron, Judy (McDonald) Sambell, Joan (McDonald) Hnajy, Forrest & Forrest, Souris-Glenwood Foundation, Souris Collision & Glass, Town Tire, Kirkup Agencies, Staff of Westoba Credit Union, Staff of Royal Bank of Canada, Beta Sigma Phi, Souris Legion, Municipality of Souris-Glenwood, New York Air Brake Co., Souris Multicultural Society. The Devins Network, ….Dispatcher C. Boyd Busby, Dispatcher Bob Kilpatrick, Dispatcher Phil Seddon, Wes Rose family…. job well done by everyone! We appreciate everything you’ve done!..You are WONDERFUL PEOPLE. Many Thanks from Ferg Devins.